If you haven’t caught up with the latest hilarious campaign from Tourism NZ to #GetNZontheMap you need to check out the video starring PM Jacinda Arden and comedian Rhys Darby here. It might be a small country, but it’s got a big heart. At RedBalloon, we’re passionate about helping NZ get the credit it deserves and making sure it is never left off a world map again. Here are 10 reasons why New Zealand is a great place to live and visit. Middle-earth actually exists in New Zealand and it’s the most picturesque place in the world. Who wouldn’t want to tour the set of Hobbiton, made famous by the Lord Of The Rings Trilogy? Gift a tour of Hobbiton. If you’re looking for glaciers, NZ is the place to go. There’s the Tasman Glacier, Milford Sound Glacier, Fox and Frans Josef Glaciers just to name a few. Take a helicopter or go for a hike on one of these truly majestic places. The views are out of this world! Gift a Fox and Franz Josef Glaciers helicopter flight. Surely this is enough to keep New Zealand on the world map? The Auckland Sky Tower is the tallest free-standing structure in the Southern Hemisphere at 328 metres high. You can take in the incredible views from the observation deck and for those who are particularly brave you can base jump off the building! Gift a Sky Tower SkyJump and SkyWalk combo. Te Wahipounamu, Tongariro National Park and the Subantarctic Islands are all World Heritage listed sites. Looking for a unique way to take in the sights of Tongariro National Park? How about skydiving over it?! Gift a tandem skydive over Taupo. Okay, so we might be pushing the boundaries with “magic” but the natural geothermal mud baths at the Hells Gate Reserve are well worth taking a dip in. You’ll also want to take a soak in the sulphurous spas while you are there. Gift a Hells Gate Reserve walk with a mud bath and sulphur spa. Perhaps we should have started the list with this one as New Zealand sure does produce a good drop! Spending some time in the Marlborough region is a must, although you’ll find delightful wineries scattered throughout the country. Browse all wine tours and tastings. New Zealand is the birthplace of bungy jumping and has become a mecca for adventure seekers from all over the world. There are loads of options for places to take the leap like the 134m Nevis bungy in Queenstown and even the Auckland Harbour Bridge! Milford Sound, the Bay of Islands, the Abel Tasman National Park – there are so many sights in New Zealand that will take your breath away. It’s the perfect place to explore the great outdoors via a hike, cruise or even a helicopter flight! If you don't mind the dark, a tour of the Waitomo glowworm cave is a must! Browse things to do in the Fiordland and Milford Sound areas. 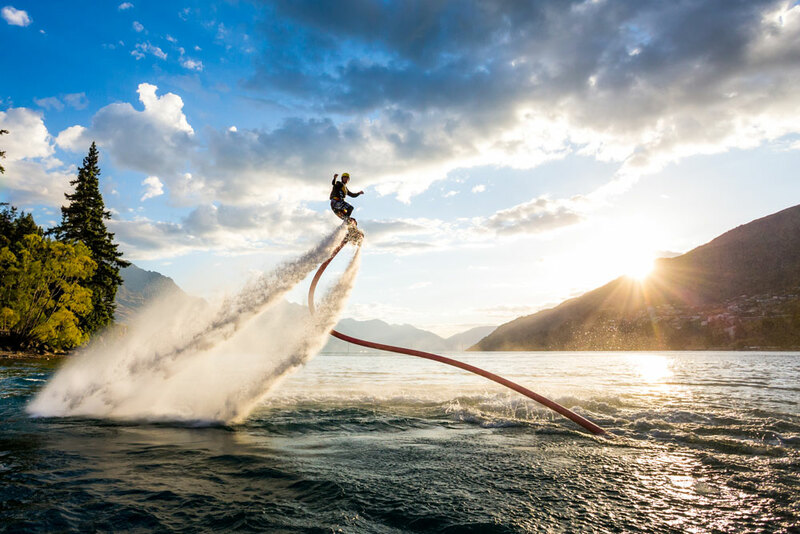 Lake Wanaka, Lake Wakatipu, Lake Taupo, Lake McLaren – if you’re into water sports there’s plenty of lake-based activities in New Zealand. 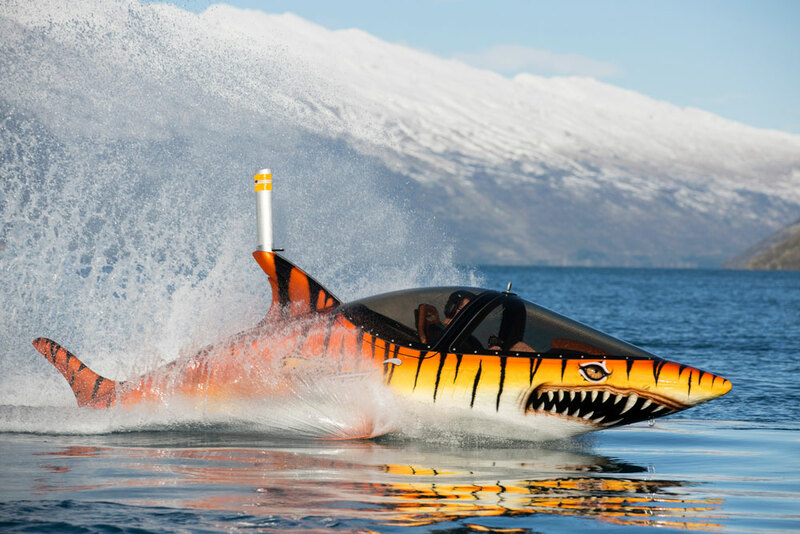 From paddle boarding to jet boating and even taking a submersible shark thrill ride (yes, this is a thing). Life is always interesting when you have a live volcano close by. On White Island, you can walk on New Zealand’s only live marine volcano. Pack your swimmers on this trip and enjoy a dip while you’re there! Gift a tour of White Island.